When I’m facing the truth about my life, either past or present—it feels like I’m scraping bone and finding fire. I can’t write the truth in my life without feeling the fire of it. Victimization and martydom have only one distinguishing difference: a martyr is a victim with a message; a victim is a martyr without a voice. From an eternal perspective, there is no tragedy in martyrdom…the martyr finds herself blessed with a foretaste of exaltation as she discoveres she is not alone in her suffering. She also discovers God has no fear of fire. Fire changes things. Absolutely, molecularly. Writing under fire does the same thing. I share with you in these essays, snapshots in words—glimpses into the reality of one woman. 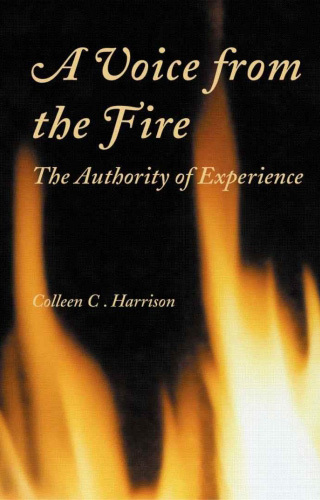 Colleen Harrison grew up believing in God. She found Him in the loneliness of a neglected childhood, felt His comfort and protection during the violent outbursts of her parents’ relationship, and experienced His strength, hope and healing amidst some of life’s hardest trials—childhood abuse, struggling with the effects of addiction in herself and those she loved, the death of her 18–year–old daughter, and the dissolution of what she believed was an eternal marriage. Through it all, Colleen finds and shares with us one overarching truth: the gospel of Jesus Christ works.